BELLEVILLE – Loyalist College has been running co-ed recreational soccer for 10 years now, and there’s no stopping anytime soon. 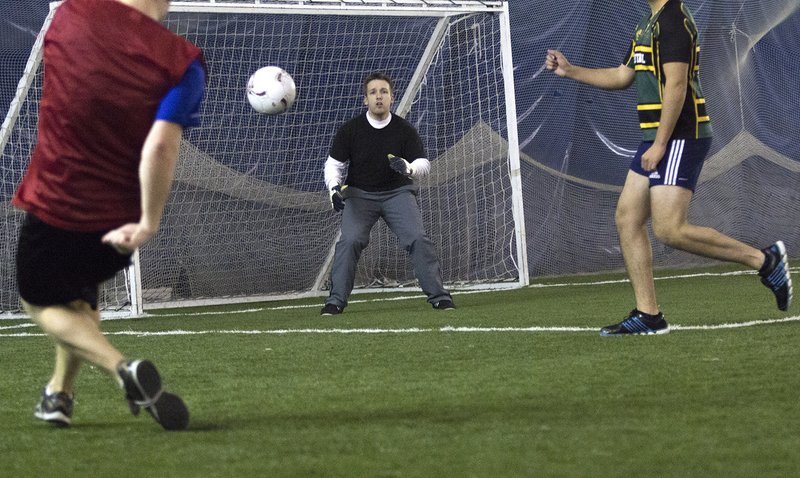 Since the Loyalist Sports Dome opened four years ago, soccer has become the most popular campus rec activity. Even drop-in soccer is packed – sometimes 40 or 50 students will show up to play. 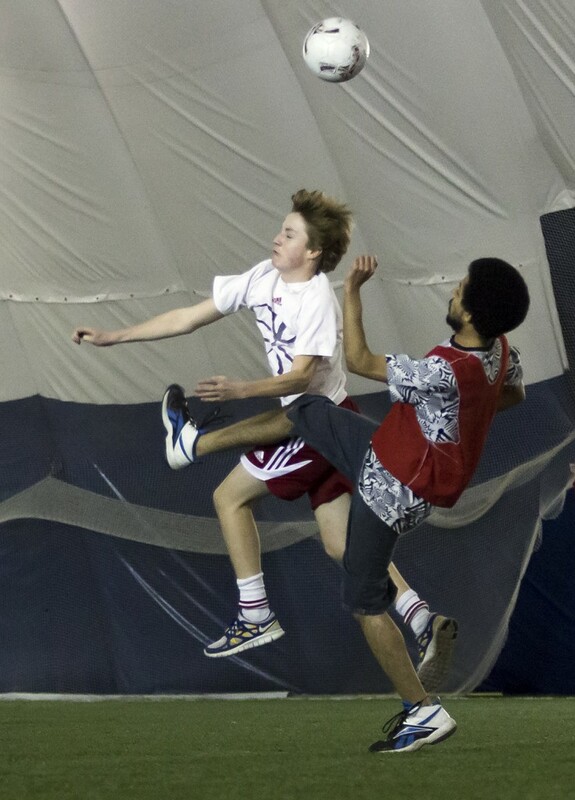 Cory Mestre, the co-ordinator of campus rec, said that last year, for the first time, there were complaints about some people who were taking the sport too seriously. They were injuring and offending players who had come out expecting a fun, easy-going game, he said. This year, Mestre selected students to help him run the rec activities who could help with that problem. It has made a big difference, he said. “I chose students who I felt were capable of understanding the game and who wouldn’t be afraid to speak up and tell the players to calm down if need be,” Mestre said. One of those students is Matt Nolan, who is in second year. “The teams are very even this year, and we haven’t had any problems with players not co-operating or being too rough,” Nolan said. He added that he thinks that the problem with players being too aggressive stems from the fact that Loyalist does not have a men’s soccer team – so the more competitive players end up in rec, playing way above some of the skill levels of other players. Taylor Hermiston, a second-year photojournalism student, also works for campus rec and said she loves coming out and running the games. Hermiston played goalie for Loyalist rec team Samba United last year and was disappointed that she couldn’t this year, but said she is very happy that she can get paid to run soccer. This year, 14 team rosters were entered, but there was playing time for 12. The players on the other two teams were spread out among the remaining teams. In the end, said Nolan, that helped balance out the teams in terms of number of players and their skill levels.